We really need rain. It has been weeks since we have had a proper rain and it has been a bit of a struggle for the garden. 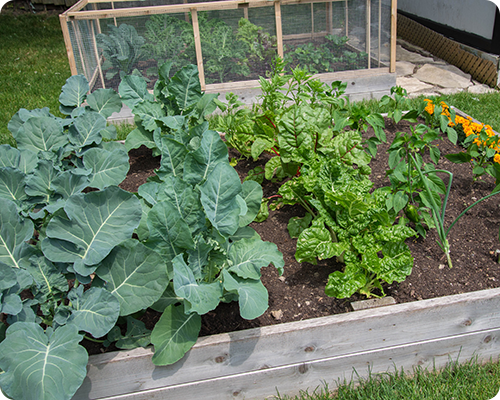 We put the sprinkler on the veggies every night, but I still think a good natural soaking would do wonders. And for the grass as well; our once lush lawn is looking a little fried at the moment. Lack of water aside, things are growing well. The broccoli and cauliflower are huge. No crowns yet, but the size of the leaves looks promising. Did you know you can eat broccoli and cauliflower leaves? I have a recipe for roasting them that is absolutely delicious, when we get to that point in the season, I'll have to share it here. The spinach is all but done, just a few remaining leaves that I will pluck off and add to a salad. And we have been harvesting our chard leaf by leaf as well and adding that to our salads. We are eating a lot of salads at the moment between what is in the garden and what is coming in our produce box. Also, there are some small peppers hanging on the plants; I'm keeping my fingers crossed that the pesky squirrels leave them alone and let them ripen. 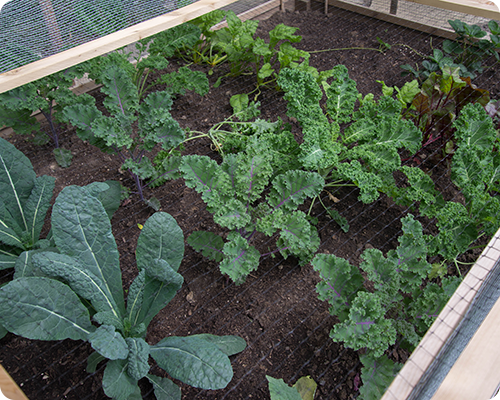 The beets and the kale are thriving. And thanks to the cage surrounding the strawberries we have been able to harvest a small bowlful. P.S. They are forecasting rain for tomorrow, when we are planning a camping trip...isn't that how it goes, you can't have it all, can you? Thanks Gracie. It can certainly be a bit of a chore keeping the bugs and critters out of the garden. Hope your Hollyhocks bring you a lot of happiness when they bloom.